Annie Sullivan overcame her disability and crushing poverty to win worldwide fame as the teacher of the deaf-blind Helen Keller. But to some of the people who helped her along the way, she would remain nothing more than Irish riff-raff, an imposter who took credit for accomplishments that weren’t hers. She was born to a poor invalid mother and an alcoholic father in Agawam, Mass., near Springfield, on April 14, 1866. Her parents had emigrated from Ireland during the potato famine, and as poor Irish Catholics the family belonged to the lowest social class in Massachusetts. At five years old, Annie Sullivan contracted trachoma, a painful bacterial infection that gradually destroyed most of her vision. The disease caused scarring and inflammation on the inside of her eyelids, and she remembered someone saying, “She would be so pretty if it were not for her eyes.” Perhaps because of her vision, she never attended school. Her mother died of tuberculosis when she was eight, and her father abandoned Annie and her younger brother Jimmie when she was 10. The children ended up at the poorhouse in Tewksbury, Mass. She later called her years in the poorhouse 'a crime against childhood.' The overcrowded asylum had more than 800 inmates, among them, ‘the vilest, the most degraded, the most abandoned human being[s] at that time.’ Among them, she later wrote, were predatory tramps, old prostitutes, maniacs, poor pregnant women, foundlings, cripples and tubercular slum dwellers. Annie and Jimmie Sullivan slept on iron cots in a cavernous dormitory, where rats ran between the beds. The siblings played with them. Jimmie only lived four months at Tewksbury; after contracting tuberculosis, he died. “I doubt if life, or eternity for that matter, is long enough to erase the errors and ugly blots scored upon my brain by those dismal years,” Annie Sullivan wrote. While at the poorhouse, Annie learned about the Perkins School for the Blind, the first for blind children, in Boston. The school was founded by Samuel Gridley Howe, husband of Julia Ward Howe who later played an unpleasant role in the life of Annie Sullivan. 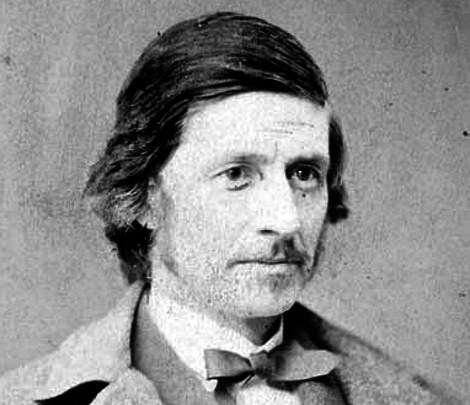 Samuel Gridley Howe had won considerable fame for his work educating Laura Bridgman, a deaf-blind girl from New Hampshire. A staunch abolitionist, he also belonged to the Secret Six, a group of abolitionists who supplied rifles to the insurrectionist John Brown. After Brown’s capture, Howe fled to Canada. He died in 1876, the year Annie Sullivan arrived at the Tewksbury Almshouse. Howe’s protégé, Franklin Sanborn, served as General State Inspector of Charities, and in that capacity he came to visit the Tewksbury Almshouse. In 1860, Sanborn had famously escaped arrest by federal marshals in Concord, Mass. They wanted him for his role in supplying John Brown with arms. The marshals, however, encountered Sanborn’s friends in that transcendentalist community, and gave up trying to apprehend him. Franklin Sanborn did arrange to have Annie Sullivan transferred to the Perkins School for the Blind in October 1880 as a charity case. And then he forgot about her – for at least a while. Annie Sullivan’s spent some difficult years at Perkins. Teachers mocked her for her stunning ignorance – she had never held a needle, she couldn’t spell simple words. Her fellow students laughed at her rough manners. But she had intelligence and drive, and six years later she graduated from Perkins as the class valedictorian. 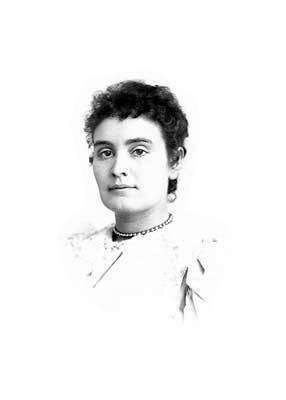 Within a decade, Annie Sullivan would earn national fame as the teacher of Helen Keller. That did not sit well with such upper-class reformers as Gridley’s widow, Julia Ward Howe, and Franklin Sanborn. They felt her achievement overshadowed Samuel Gridley Howe’s fame for his work with Laura Bridgman. Nor could they accept that a commoner, a former denizen of the vile poorhouse, had matched his accomplishment. 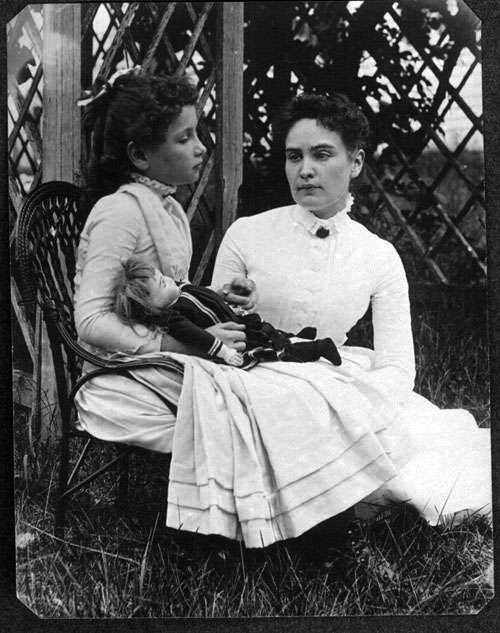 In 1892,11-year-old Helen Keller presented a story she wrote to Michael Anagnos, Howe’s successor as Perkins’ director. Anagnos published it in the student magazine, which added to the celebrity of Annie Sullivan and her student. However, someone discovered the story closely resembled a story in an old children’s anthology. Julia Ward Howe then blamed Sullivan, calling her a fraud and a plagiarist. Later Sanborn joined in the attacks on Annie Sullivan and Helen Keller, who had leveled criticism at the Perkins School for the Blind. He tried to discredit them as false friends of the blind. He argued the Howe family and the Perkins School were the true teachers of Helen Keller and denied even meeting Annie Sullivan. In the end, concluded David Wagner in Miracle Worker and the Transcendentalist: Annie Sullivan, Franklin Sanborn, and the Education of Helen Keller, the claim that an illiterate Irish-Catholic pauper could have replicated the work of the great Samuel Gridley Howe was troubling. …the controversy over the education of Helen Keller was in part a battle abaout social class, ethnicity, and gender as well as about what the suitable demeanor should be both for being a hero and a young disabled woman in the late nineteenth century,” he wrote.